This is a handmade book approx 7" x 5" comprising a cover from a hard back book and pages made from envelopes. The 114 pages have edges made from maps, music and miscellaneous documents to add interest. 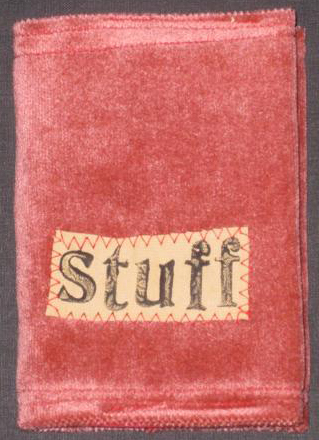 The cover is a fitted, lined slip cover made from woollen tweed. 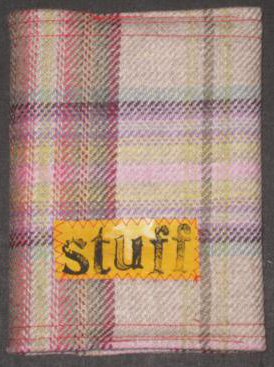 The book ordered will be made from a tweed available at the time. This is a handmade book approx 7" x 5" comprising a cover from a hard back book and pages made from envelopes. The 114 pages have edges made from maps, music and miscellaneous documents to add interest. The cover is a fitted, lined slip cover made from an upholstery velvet. The book ordered will be made from a velvet available at the time.